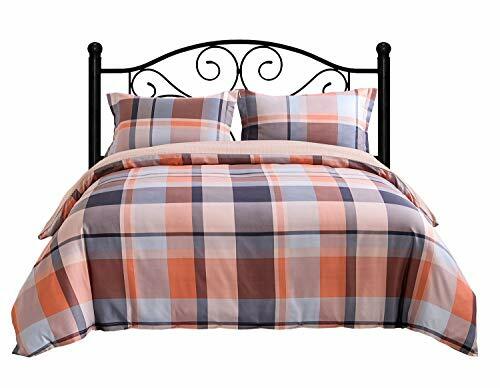 3 pieces duvet cover set includes one duvet cover measuring 90 by 90 inch and two pillow shams measuring 20 by 26 inch. Made of material of 120 GSM (grams per square meter) which is much higher than most other duvet cover sets on the market, combined with double brushed technology, our duvet cover are thicker, softer, more durable and breathable! Button closure at the bottom of the duvet cover and four corner ties/hooks to ensure your comforter immovable in the cover. It is machine washable and dryable for easy care. Material is specially processed to protect against any shrinkage after washing; fade, abrasion and stain resistant. Notice: Comforter& pillows are sold separately; not in set. Zwipes Microfiber Cleaning Cloths (36 Pack) ONLINE SAVINGS!